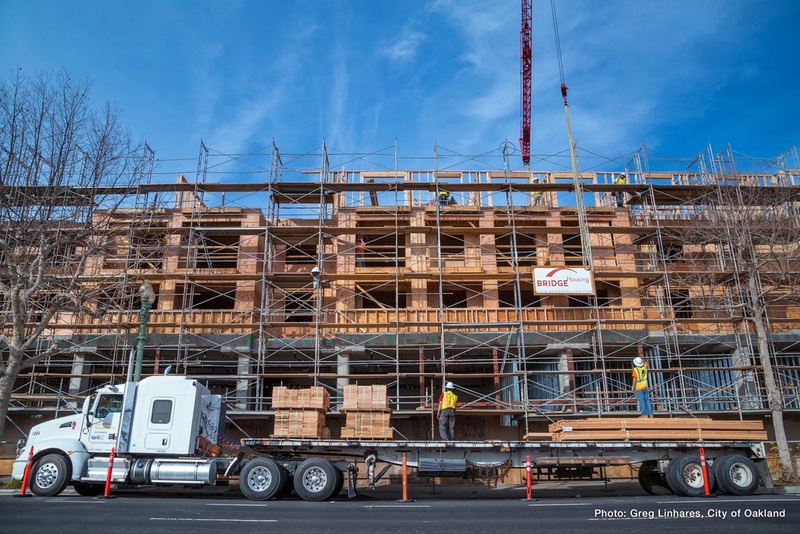 The City provides financing to developers to increase and preserve affordable housing in Oakland. These funds are available from the federal government's HOME program and other local funding sources. Funds are allocated annually in a competitive process through a Notice of Funding Availability (NOFA). The NOFA is typically published in September, applications are due in November, and funding commitments are approved by the City Council in February or March. This allows developers to use our funds to leverage other affordable-housing funds, such as the low-income housing tax credit. Learn more about the New Construction Loan Program. This program provides loans to owners of existing multifamily affordable rental housing to prevent or address health and safety conditions. This program provides loans to developers to cover the costs related to acquisition, rehabilitation and preservation of affordable rental housing. The Predevelopment Loan Program provides loans to non-profit housing developers to cover pre-development costs (feasibility analysis and preparation of loan applications) and to cover costs of preparing projects for syndication. Learn more about the Predevelopment Loan Program.